Pre-Anesthetic exam - Even if your pet has been in to see us recently, we want to be absolutely sure that there have been no changes to your his or her health. This exam is performed the day of the surgery. Pre-Anesthetic blood profile - ALL pets are screened prior to undergoing anesthesia. This is done to to ensure that your pet’s major organs are functioning properly in order to metabolize the anesthetic agents. Catheter and IV fluids - Prior to surgery, an intravenous (IV) catheter is placed, and your pet will receive IV fluids before, during, and after surgery. These fluids help stabilize your pet’s blood pressure and maintain fluid balance during anesthesia. Anesthesia tailored to your pet - Each pet receives a unique anesthesia protocol, which takes into account his or her age, breed, and medical history. Monitoring equipment - While your pet is under anesthesia, we are using multiple pieces of equipment to closely monitor his or her vital signs, including blood pressure, heart rate, ECG, body temperature, and respiration. 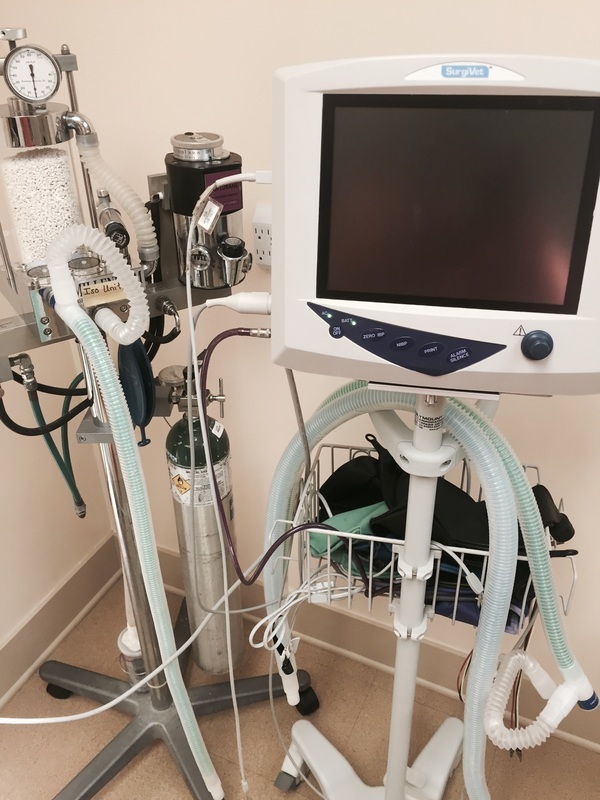 The information we collect from these machines allows us to make adjustments to your pet’s anesthesia with even the slightest change to any of his or her vital signs. Post-surgical pain management - Surgery is painful, and a successful recovery depends partly on effective pain management. Whether your pet’s surgery is routine or emergency, we will make sure he or she remains comfortable during the recovery process - both in our hospital and at home. 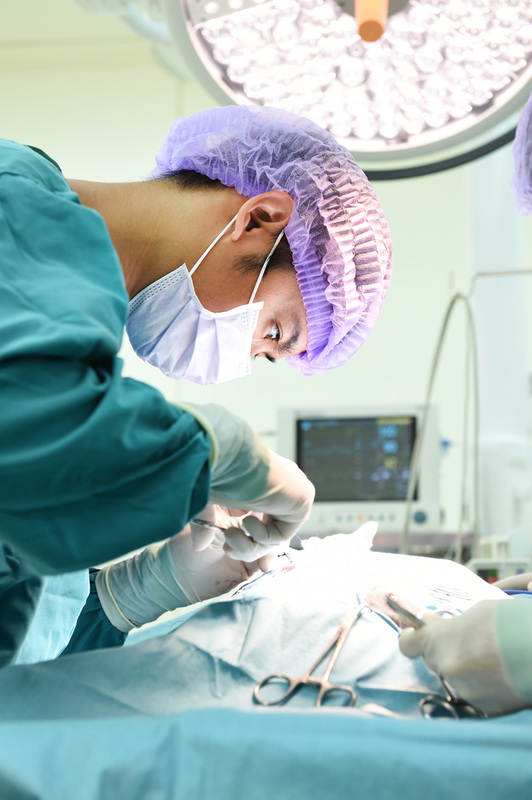 Post-surgical follow up - Follow-up care is an important part of the recovery process. Every client receives written discharge instructions, and will be contacted by our office to ensure the recovery process is going smoothly. 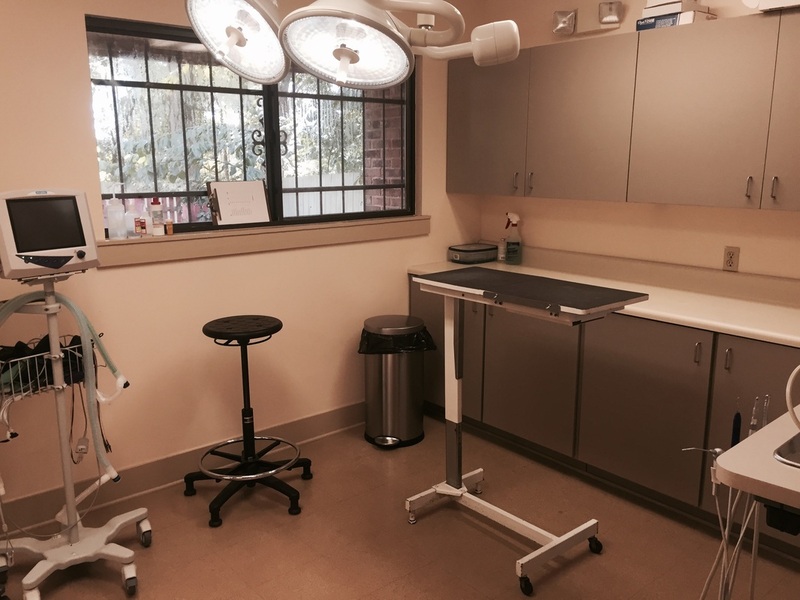 We also know how expensive surgeries can be, so we’ve waived the fees for suture, drain, and/or staple removals for procedures performed at our hospital. And, of course, should you have any questions after your pet returns home - or at any other time during the postoperative period - please do not hesitate to call us. We welcome your questions and we will do everything possible to ensure your pet makes a full and timely recovery. Help is only a phone call away.